Your business is on social media, now what? Everyone told you that you needed to be on social media and pointed you to the sites that they use, but now you’re trying to figure out how to find the time to make regular posts and figure out what posts are going to bring in viewers and maybe even get shared. Here are some tips for Social Media Marketing Techniques for Business, how to get time to be on social media, and what you should be doing on there. There’s no point in wasting time on social media marketing if you’re not going to go all in and draw in new customers. So without wasting time, let’s start with few Social Media Marketing Techniques for Business. Facebook and Twitter are not the only social media options out there for businesses, but they are two of the most important and most used. Twitter is a great place to send reminders about sales and to post often, in short bursts. You should also consider using sites like Pinterest, YouTube, and Instagram. These all offer great differences from your general social media. 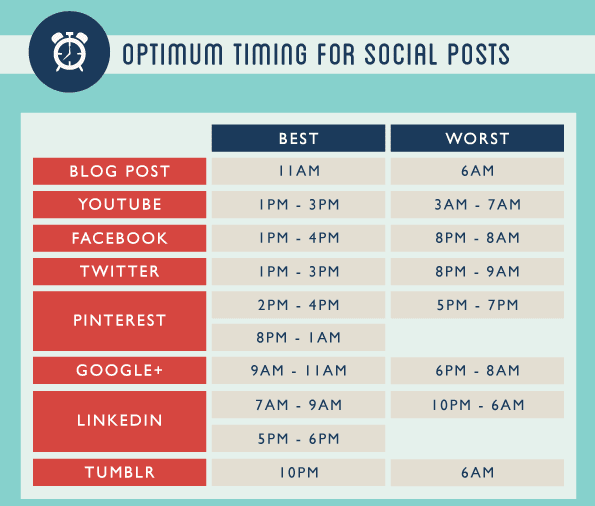 To make more time to post, use a content management tool, like Hootsuite, for social media posting across the board. Here is the list of top social media sites to follow and work on to get best out for businesses. Every single article you read online will tell you something different about how often you should post on social media. Do what feels right for you and what seems to work well for your customers. If you post too often, they may start marking your messages as spam. If you post too little, they may get bored and stop following you. Do not go weeks without updating. Even if you don’t have any new info to share you should at least be sharing some other content from the news world. When something big is going on that has something to do with your industry it makes sense to share it on your social media sites. Add a little dialog that fits your business so that it will look more personal. Share memes, talk about celebs and be in the know when it comes to the news. Consider creating your viral content as well. This isn’t that difficult to do. It’s a matter of making content that interests people and making sure that it is factual and well researched. If you look at the data shared by Buffer, news & entertainment are the top categories of contents getting shared on social media. As these categories mainly come under the viral category and so will be very helpful to reach a large set of audience. You need to have photos on your social media. Photos of your business, the people, and the behind the scenes. Posts should be just words all the time. You can also combine both with infographics, which is a great way to share statistics and other pertinent information. 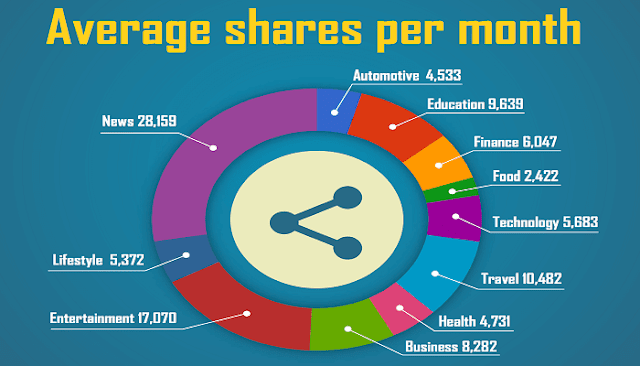 Infographics contain graphics and info, hence the name. Use Colors that attract people as well. If you see any post trending on social media, one thing will be common, and that is good graphic. Images/videos/Gifs are getting shared a lot, and so you should take care of it as well. 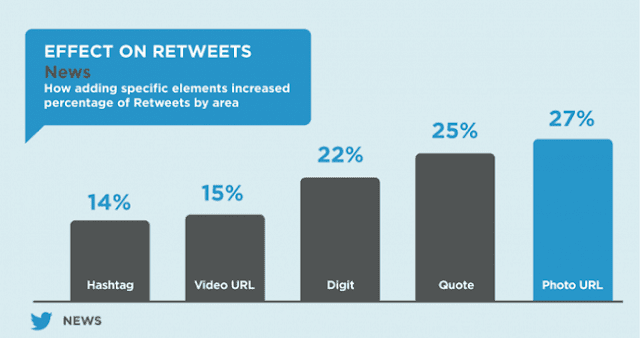 Here is a graphics showing the impact on Twitter retweets with the following items. It is necessary to follow your competitor to keep track what they are talking about. In fact follow their followers as well. They will follow you back. By this way, you will get to know about their potential customer. For example, your competitor has shared nay updated related to sales/products then their potential customer must interact to the status. You can then also start targeting such users to grow your business. 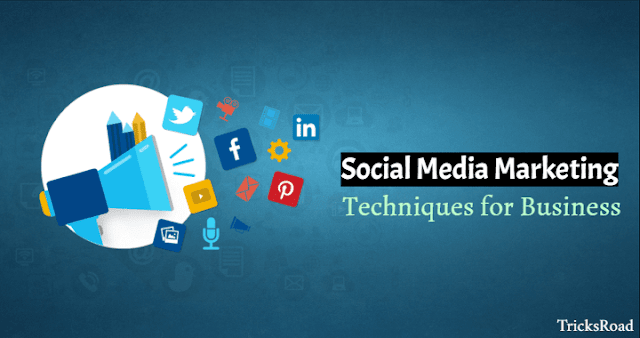 These were some best Social Media Marketing Techniques for Business. If you are solopreneur, freelancer or entry level entrepreneur, you must follow these Social Media Marketing Techniques for Business to grow your business. If you can’t be active on all social medias, at least try to be active on Facebook, Twitter, LinkedIn, Google+, Instagram, etc. as these are getting maximum visibility and impact more. You can also check our article social media mistakes bloggers should avoid. I will love to know your thoughts on this! !